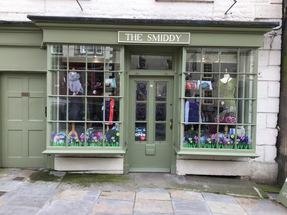 The Smiddy, ladies and childrens clothing, Pickering, UK. Brands stocked include Joules, White Stuff, Catseye and Accessories from Kipling arriving shortly. Stock is updated regularly and if you are looking for a gift for someone special or a treat for yourself why not pop in and see us. Now relocated to the Market Place, Pickering.